Villa Evagelia offers spectacular panoramic coastal views and is surrounded by rolling hills sprinkled with firs, pines and olive trees. 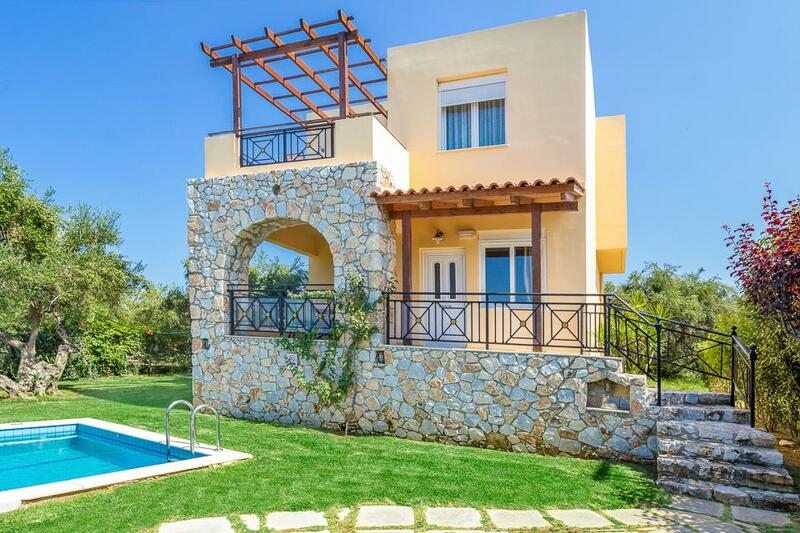 Villa Evagelia is situated in a slightly elevated position a short 10 minute walk from the sandy beach of Kalyves, offering spectacular panoramic coastal views and surrounded by rolling hills sprinkled with firs, pines and olive trees. The airy, light and elegant interior simply never feels crowded while the private pool, bordered by lovely mature gardens and attractive shaded dining area, provides a gorgeous location in which to relax to the soothing sound of goat bells jangling and the therapeutic sound of the humming cicadas. 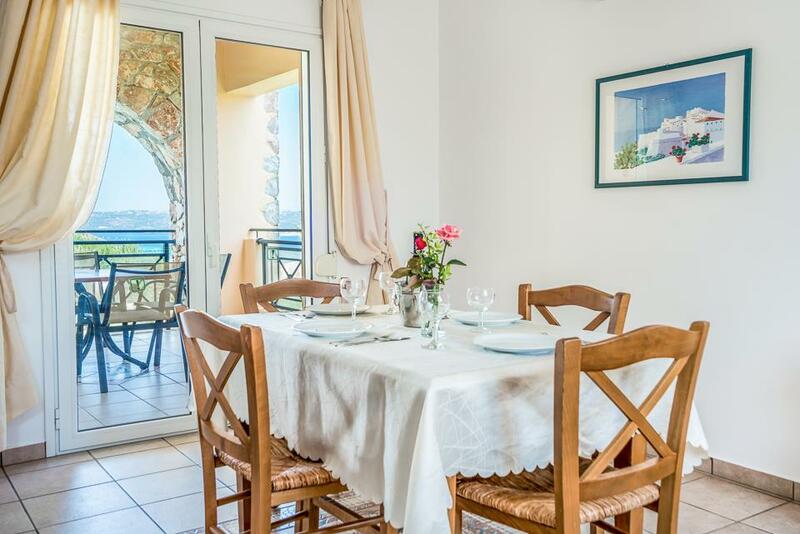 The nearest taverna is a convenient 800m stroll away, as is the wide, predominantly family friendly sandy beach. 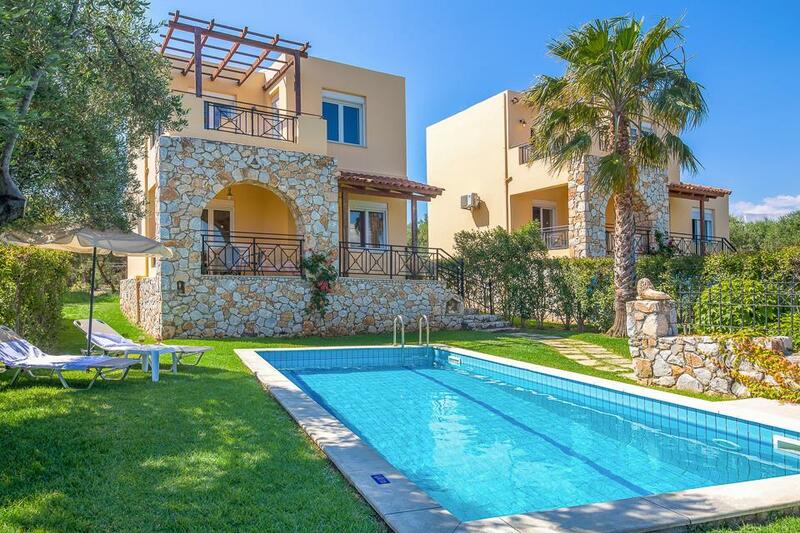 The village of Kalyves is truly delightful and has been a popular choice for discerning travellers for many years, and we are thrilled to be offering Villa Evagelia in our wonderful portfolio of villas in Crete. 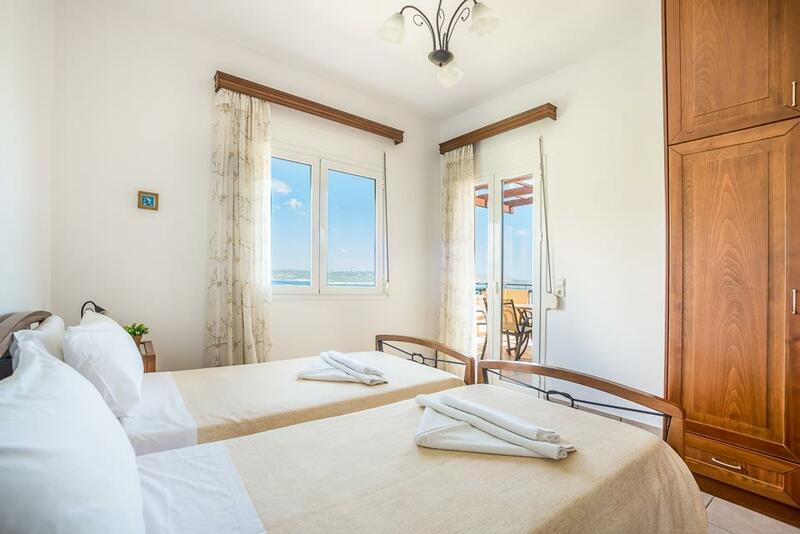 A short 10 minute drive will take you along to the bright lights of neighbouring Plaka and Almyrida where a large selection of supermarkets, restaurants, bars and souvenir shops await. Crete is a surprisingly interesting destination not only for beach lovers, but for culture buffs and lovers all things Greek, there really is something here to appeal to all the family. 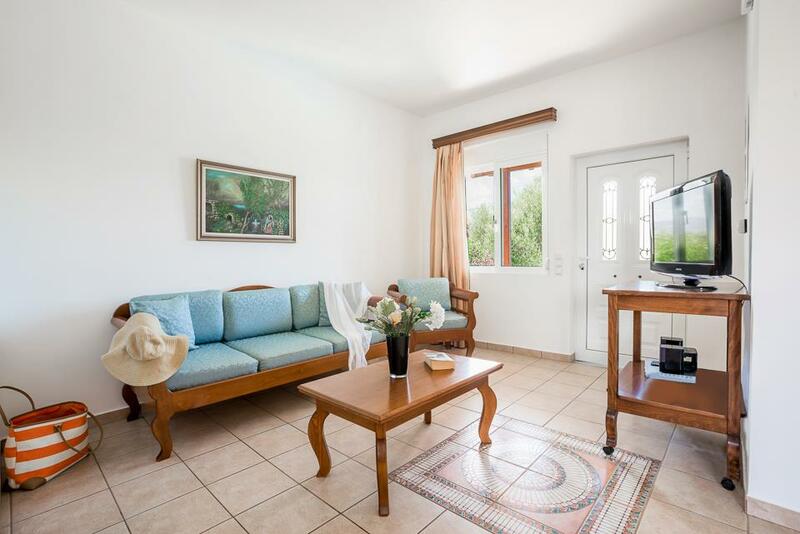 The villa was situated around many tourist attractions giving us easy access to different places. It was also extremely clean and spacious. 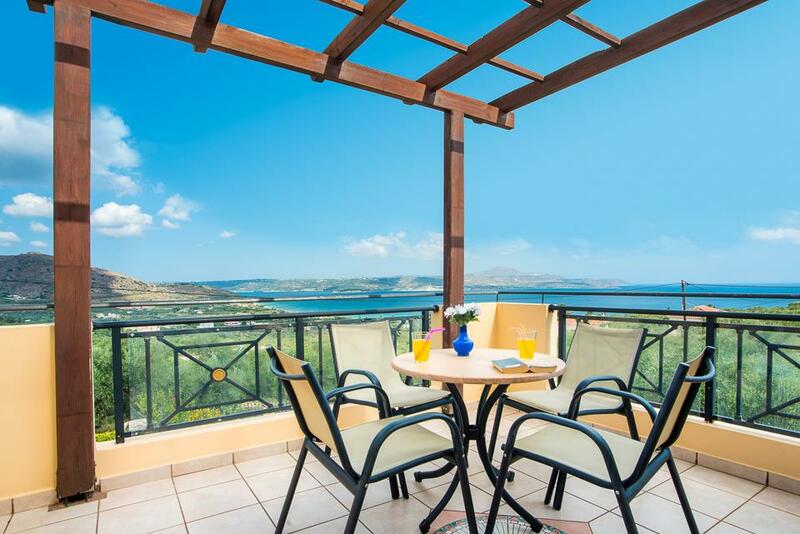 It was a great villa in a superb location, with excellent views. We had a lot of privacy and there was a lot of space internally and externally. It was exceptionally clean and the villa was serviced during our one week stay. Villa Evagelia surpassed our expectations. 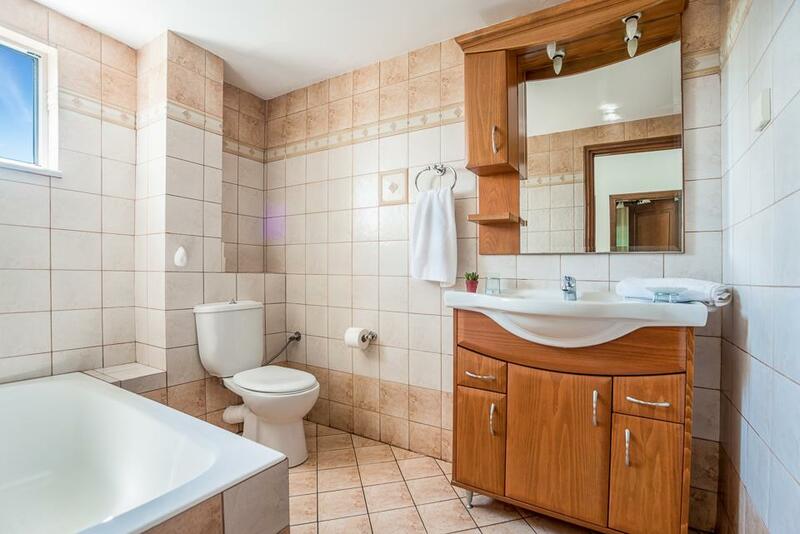 It was beautiful and very well maintained, with the owners only a phone call away if there were any issues. The pool was fantastic and it was easy to keep an eye on the children while using it from the small but very pleasant garden. We weren't expecting a maid service but the villa was cleaned and towels changed midway through our 1 week stay. There was also toilet paper, washing up liquid and pool towels as well as a welcoming bottle of wine and water from the owners. Air conditioning was great at night. Kalyves is a charming village with plenty of good places to eat and drink. The beach was fantastic and only a 2 minute drive from the villa. It was never crowded and gently shelves into the turquoise sea, so good for kids. Overall, a fantastic holiday in a lovely villa. The villa was fantastic and catered for all our needs. It was in a beautiful location with spectacular views all around. 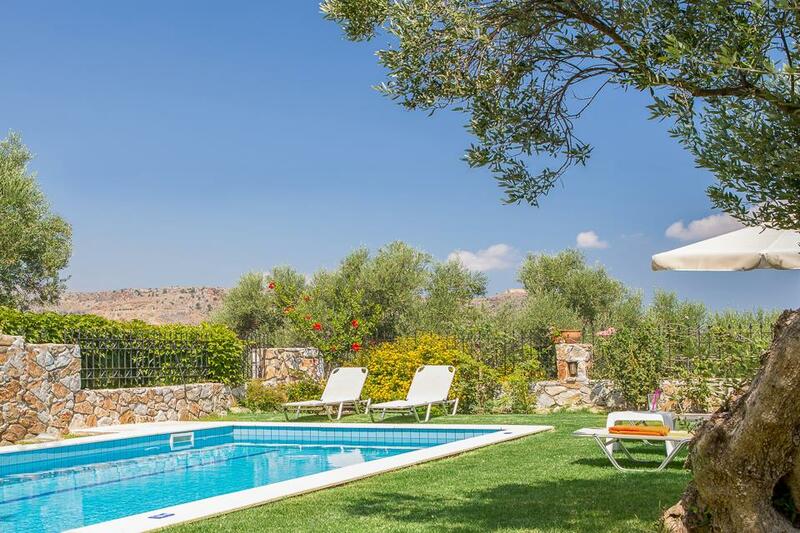 The Villa is in a beautiful setting with great views of the surrounding countryside and ocean. 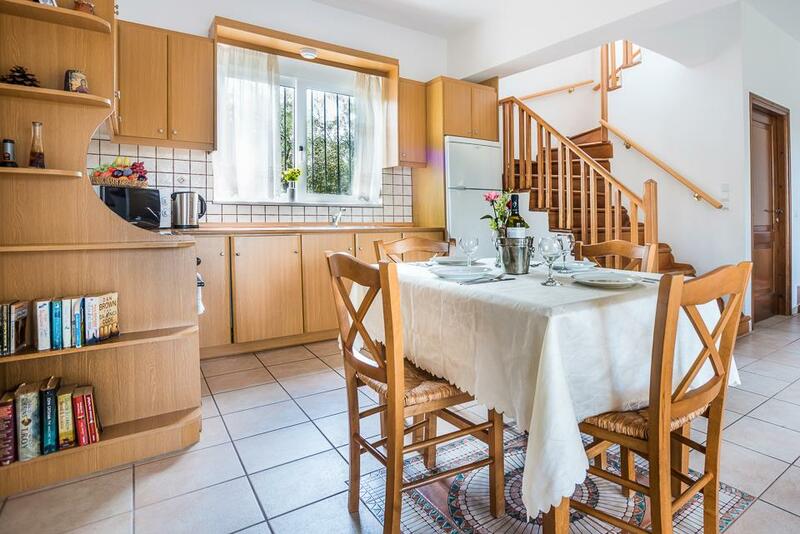 Villa is in a great position, not too far from the village, restaurants and shops, though we did find a car useful and I don't think it's really practical not to have one as there is not that much in walking distance. 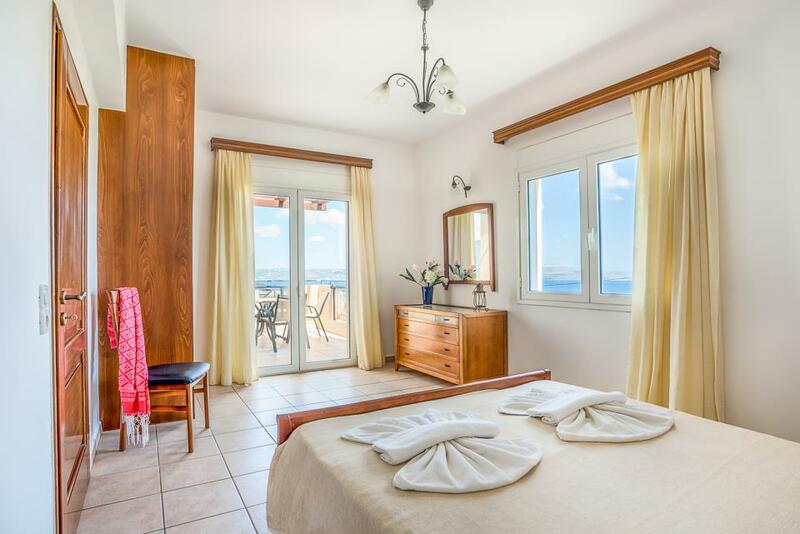 The villa is really well equipped inside and out, and it was very clean - a cleaner also came mid-week and changed towels and beds. The resort is a small working Greek village with a few shops and quite a few restaurants - very quiet, no loud bars and discos, so it was exactly what we wanted. 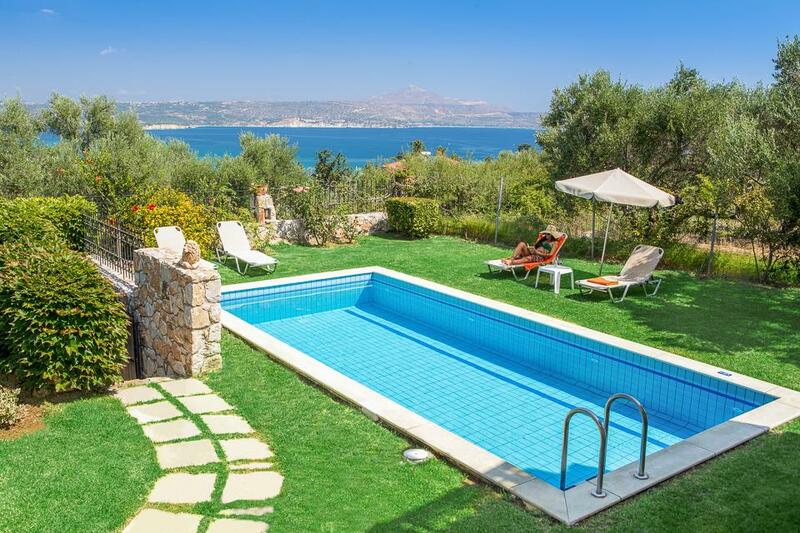 Great views, wonderful pool, very clean and within walking distance of tavernas although it is a bit of a slog on the way back up the hill. BUT the WiFi is dodgy, this is a real encumbrance for anyone wanting to keep in touch with work or friends. We had four devices and they all struggled with the connection.